The Minnesota Psychoanalytic Institute (MPI) provides Psychoanalytic Training for qualified therapists who want to become a psychoanalyst or a professional wanting to apply psychoanalysis to his or her allied field of study. Building on Freud's early discoveries, psychoanalytic theory continues to evolve as an intellectually stimulating and clinically powerful instrument for helping people change. New knowledge from infant observation and research, and recent studies in the mind-brain relationship, as well as current psychoanalytic developments enhance the Institute curriculum. Offering a solid grounding in Ego Psychology, along with Object Relations and Kleinian Theory, Self Psychology and Relational perspectives, through courses in development, theory, technique, and case conferences; the curriculum guides candidates in helping patients disentangle from painful patterns of living to pursue their own transformative potential and to live loving, productive and vital lives. 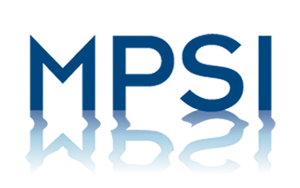 In addition to the analytic training provided by the Institute, the Minnesota Psychoanalytic Society (MPS) sponsors the Psychoanalytic Psychotherapy Training Program, which is a training program for people wishing to increase their understanding and application of analytic approaches to psychotherapy. PPTP is a two-year program with three 10 week trimesters each year. Certificate and non-certificate tracks are available.